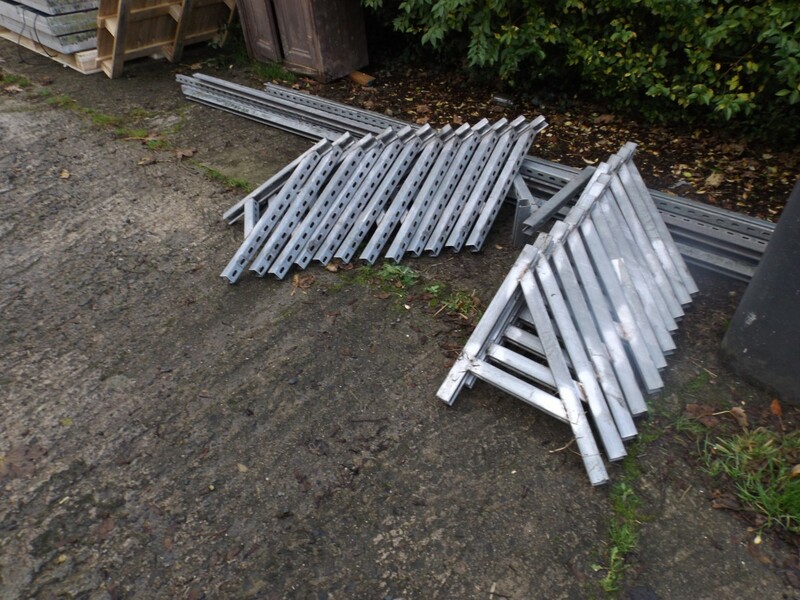 38 panels, over 3 kilowatts worth, waiting to do their thing..
Today we were most fortunate to be able to go and pick up a not inconsiderable quantity of used solar pv panels – 0ver 3kW worth, together with a load of mounting rails. Although the panels are a few years old, they’re good ones, and should barely have any deterioration in performance. A good clean will bring them up like new. Needless to say we’re chuffed to bits, and getting them up and generating is now high on the list. Many thanks to Andrew and Douglas for making this possible. That is fantastic, will you connect to the grid or an inverter. I look forward to hearing an update on this enterprise, I would love to have our own electric supply again, do you know of anyone in Ireland who is self sufficient in power without using a wind turbine? For now Anne, we’ll do a bit of both. Basically all the lights, a couple of sockets and solar h/w pump are running off an inverter/batteries, and we have some on-grid sockets for washing machine, tools etc. 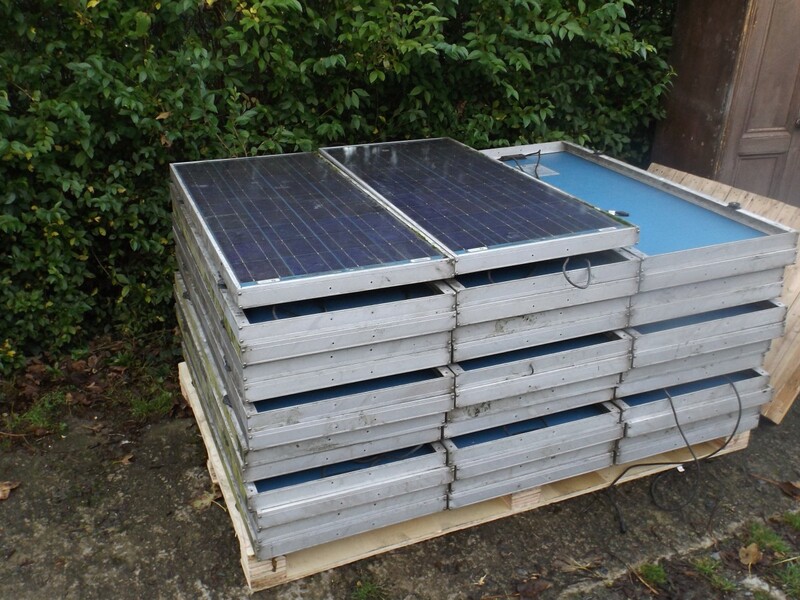 With the new panels we have, we will grid tie 2kw, for things that get used during the day (as we have the grid tie inverters and they were free), and add another 1kw to our existing off grid pv setup. My hope is that we’ll get away without having to hook in the little wind turbine we have. Currently it powers the truck accommodation, and is too far away to connect to the house. I can’t see a reason why you shouldn’t rely solely on PV, given enough batteries and panels.